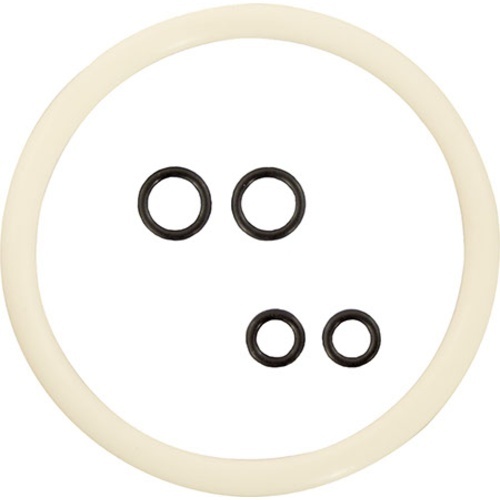 Keep your cherished Corny Kegs in perfect working order with this set of gaskets and o-rings. Having a spare set on hand is usually all you need to get your keg up and running on a moment's notice. Kit includes two gaskets for the dip tubes, two for the body connects and one lid o-ring. Be sure to replace the gaskets on any used keg you acquire. A corny keg that has been used for soda in the past should have its gaskets replaced because the soda flavor can never be removed from the rubber. This kit works for Ball Lock and most Pin Lock corny kegs. Rebuilt Used Corny Keg - Ball Lock 5 gal.